De Bolder used to be a clunky quarterly leaflet representing The Port of Amsterdam, now it’s a stylish considered magazine for over 1000 port personnel. Initially a pitch project, I designed a flexible magazine format following the strict style guidelines of the Gemeente Amsterdam. For 8 issues I designed and art directed the magazine. 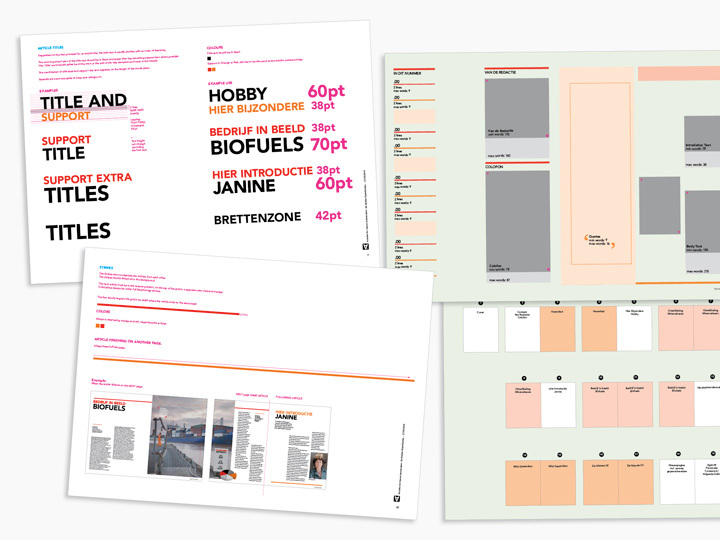 Additionally I created a separate set of styleguides for the magazine, organised the arrival of content with the port personnel and prepared all files for print. Work produced at Artmiks / Bohemia Amsterdam.